A natural rose fragranced deodorant to eliminate unpleasant body odours. A light floral fragrance provides a feeling of freshness and well-being whilst herbal extracts neutralise bacteria and prevent unpleasant body odour without inhibiting natural skin function. Made using pure essential oils of Amyris, Cabreuva, Geranium, Neroli, Rose absolute and Ylang Ylang, to create a truly calming aroma. 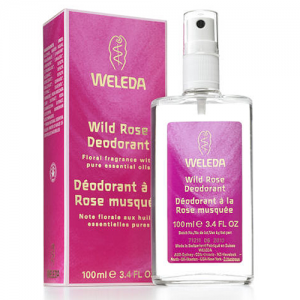 Consumer trials found the Wild Rose Deodorant lasts between 5 to 9 hours. 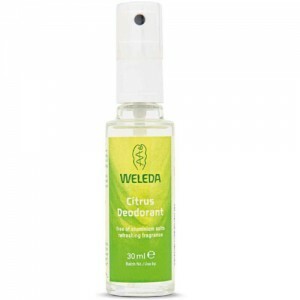 These deodorants inhibit the development of unpleasant body odour without interfering with the skins natural functioning. They are effective deodorants not antiperspirants. 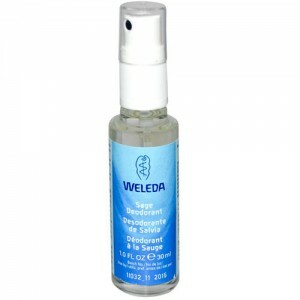 (Anti-perspirants work by inhibiting perspiration, usually by blocking the pores with aluminium salts). Alcohol, Water (Aqua), Fragrance (Parfum)*, Limonene*, Linalool*, Citronellol*, Benzyl Alcohol*, Benzyl Benzoate*, Benzyl Salicylat*, Geranoil*, Citral*, Eugenol*, Farnesol*, Rose Moschata Leaf Extract, Rose Damascena Extract, Glycerin, Ammonium Glycyrrhizate. * from natural essential oils (i.e. naturally present in the essential oils).